The 361 Degrees Men's Fit short sleeve shirt is a running top that provides a comfortable feel under its technical focus. The polyester / spandex fabric works to keep you comfortable and dry through its natural moisture-wicking and odor management, and is brushed for a soft, broken-in feel. 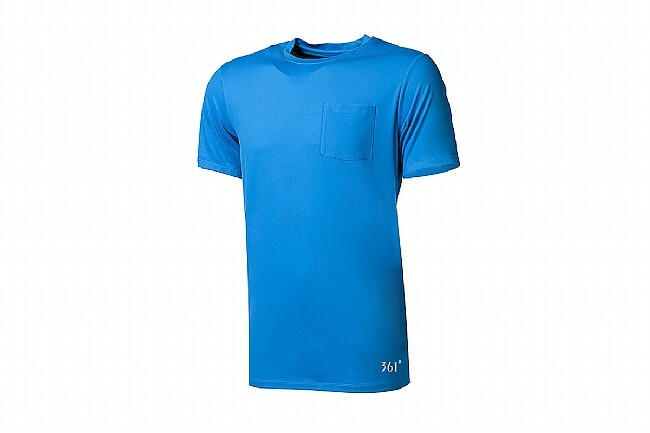 The neck of the shirt also features a chafe-reducing finish to help you focus on the run. A small front pocket allows you to stash your keys, cards or other essentials while out beating the pavement. 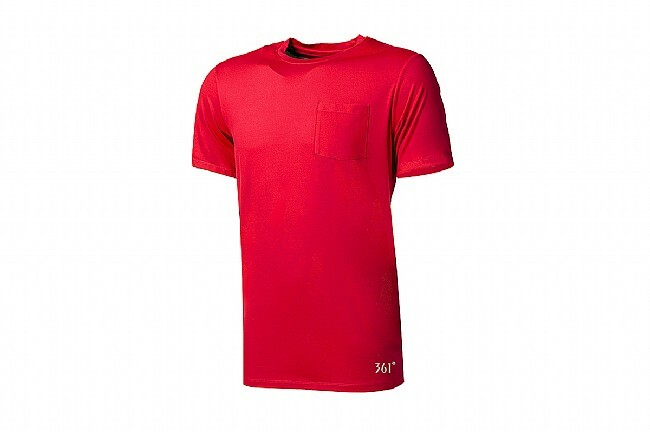 The 361 Degrees Fit short sleeve shirt features a semi-form fit. Chest 36"-38" 38"-40" 41"-43" 44"-46" 47"-49"
Sleeve Length 33½"-0" 34½"-0" 35½"-0" 36½"-0" 0"
Waist 30"-32" 32"-34" 35"-37" 38"-40" 41"-43"
Inseam 32"-0" 33"-0" 33"-0" 34"-0" 34"-0"